Walmart filed for a glut of patents, published today, that suggest the US’s biggest retailer could be ramping up incorporation of emerging tech in ways that would dramatically change how consumers shop and order. With regards to in-store tech, the patent applications include a shopping cart “sensing device” and a means for tracking customers through wearables. That’s taken in conjunction with the several applications for sensing inventory levels. It’s possible this is play towards cashier-less shopping, like the kind Amazon is increasingly rolling out with its Amazon Go locations. 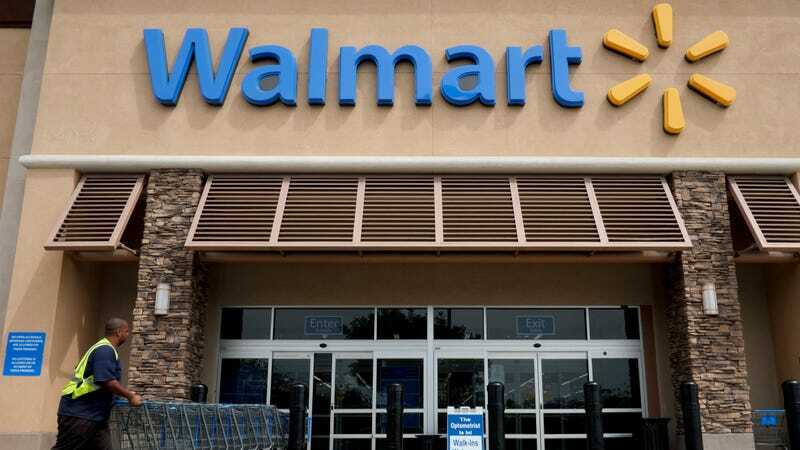 Some consideration is also given to autonomous tech, which it seems Walmart is thinking about deploying for item identification and coordination of self-driving cars. Taken together, that’s looking a lot like human-less picking, packing, and delivery. All this stands as yet another sign of the ongoing battle between Walmart and its chief rival, Amazon. While Amazon has made moves into groceries with its acquisition of Whole Foods, considers more physical locations, and continues to court lower-income customers, Walmart seeks to scale up its ecommerce footprint and find any sort of technological edge. Will we see fully roboticized Walmarts? A patent application is no guarantee whatsoever, and companies regularly file them for dustbin products and methods that range from achingly mundane to completely impractical. For example, among ideas published today that Walmart is trying to staked its claim to: A reusable box lid and means for coordinating customer order pick-ups with a car wash.
We look forward to watching Amazon and Walmart’s rivalry continue to a fuel an economic race to the bottom that is unlikely to benefit the American consumer in any way. An earlier version of this article conflated filing and publication date and has been edited to clarify this distinction.